Quaker Gun, possibly one of the best bands I have heard, they just starting out too! Just imagine what the music will be once they take off! We have recorded them once, just for a quick demo, but more soon! If you hear about a show...GO! 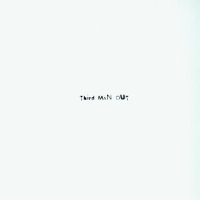 Third Man Out is a band that despite thier age rocks majorly, and can right songs very well. A talented bunch of people that will be on the shelves soon.